TORONTO, July 17, 2017 – Cundari continues their new business momentum and adds wine brands Santa Margherita and [yellow tail] to their client roster. Following a review process facilitated by Philippe Dandurand Wines, a Canadian company based in Montreal and specializing in importing wines from around the globe, Cundari was selected as the strategic, creative and media lead agency for both brands in Canada. ‘Cundari had everything in an agency that we were looking for – proven strategic and creative leadership, in-house media and a good understanding of the Canadian market. 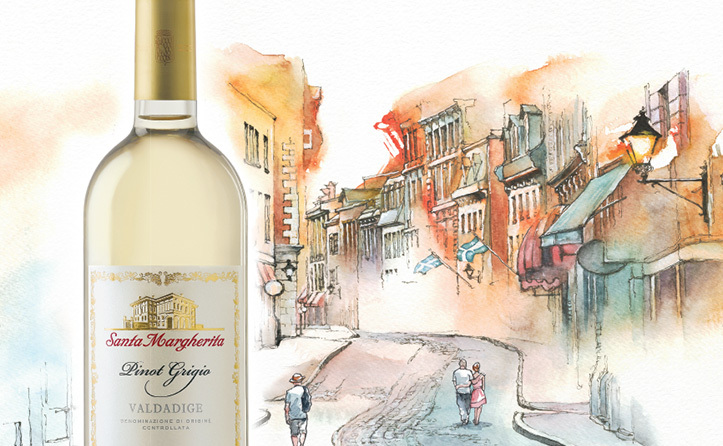 Their demonstrated understanding of our business combined with a very unique creative approach for the category put them over the top.’ Says Carl Caldareri, National Brand Leader Canada for Vins Philippe Dandurand Wines whose responsibilities include the Santa Margherita brand. A recently launched, original campaign for Santa Margherita leverages the affinity Torontonians and Montrealers have for the mosaic of their city with OOH and social media content featuring artful interpretations of exploring different dimensions of taste, through watercolour paintings of various Toronto and Montreal neighbourhoods. Won as a separate pitch, the [yellow tail] assignment is a national campaign set to launch in the Fall with integrated media partnerships leveraging television, digital and social. ‘We are extremely pleased to welcome both brands and look forward to working with them here in Canada and abroad in building their business in Canada.’ Says Jenn Steinmann, President of Cundari.